Orlando's Amway Center is a big draw, whether your interests lie in the heated courtside action of an Orlando Magic game, an enchanted night of music from one of your favorite platinum-selling artists or some other hot-ticket event. Many locals make an Amway event an all-night affair, booking stays at one of the city's downtown hotels. Out-of-towners are no different, though they may stay longer to check out a few of Orlando's other draws while they're in the area. Either way, this Amway-centric list offers downtown digs for every style and budget. You may even want to catch an Orlando City soccer match or a show at the Dr. Phillips Center for the Performing Arts while you're in town. 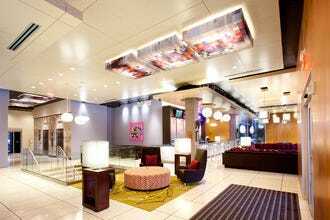 The upscale Grand Bohemian is tops for luxury, but its new neighbor, the Aloft Orlando Downtown is an excellent alternative with modern lines, hip venues and a budget-friendlier price point. 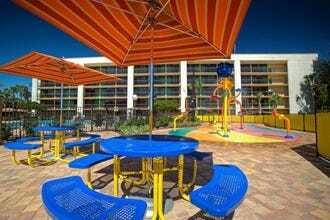 The Courtyard at Lake Lucerne is a complete departure, offering downtown – and thusly Amway Center – convenience, but with old-Florida, bed-and-breakfast charm. 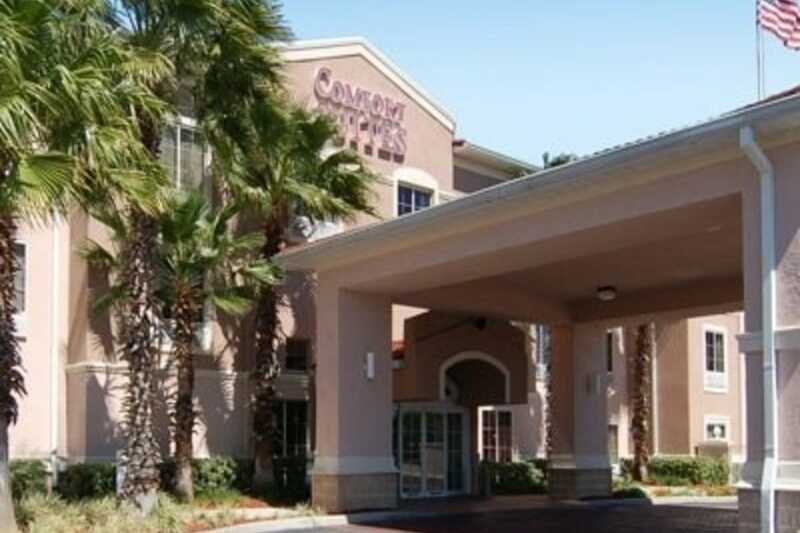 Embassy Suites and the Crowne Plaza have their own offerings, too, each with shuttle service. It's all a matter of sorting out the amenities and locations to decide which best fits your agenda. Just outside the downtown circle, but still only minutes from Amway, the Comfort Suites Downtown gives visitors the option of on-foot neighborhood exploration of some of Orlando's lesser-known but no less charming neighborhoods like College Park and Ivanhoe Village. Visit the Amway Center by night and some wonderful small businesses by day, or vice versa, and see a side of the city you might otherwise have missed. Minutes to downtown, six miles from Universal Studios Orlando, 13 miles from the airport and 15 from the Walt Disney World Resort complex ––" easy-access is the go-to phrase at this downtown property. 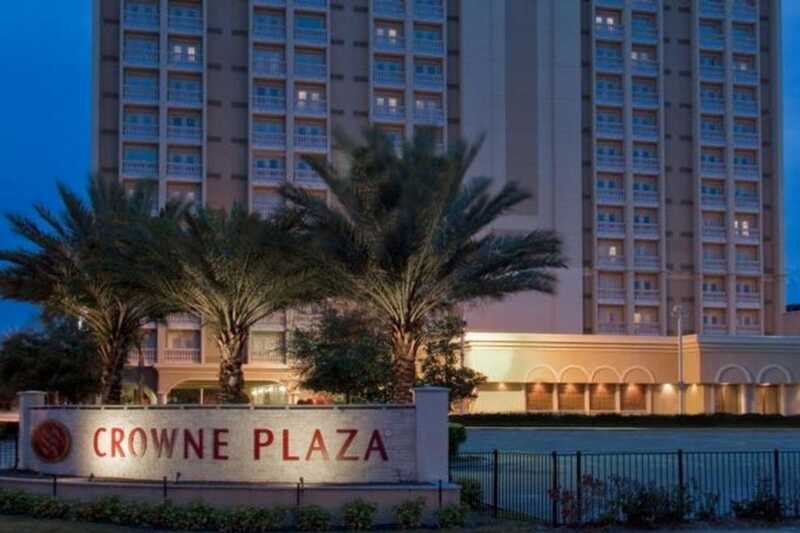 The Crowne Plaza Orlando Downtown is convenient for business stays, Amway Center events, weekend getaways and more ––" well located for downtown dining and entertainment ––" and offers complimentary shuttle service to locations within a three-mile radius. 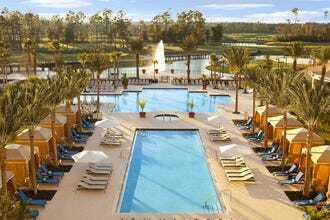 Other on-site features include an outdoor pool and indoor fitness and business centers. An on-site cocktail lounge and restaurant means you don't have to stray, but with Orlando's world-class dining options just steps away, it's likely you'll want to venture out and explore. 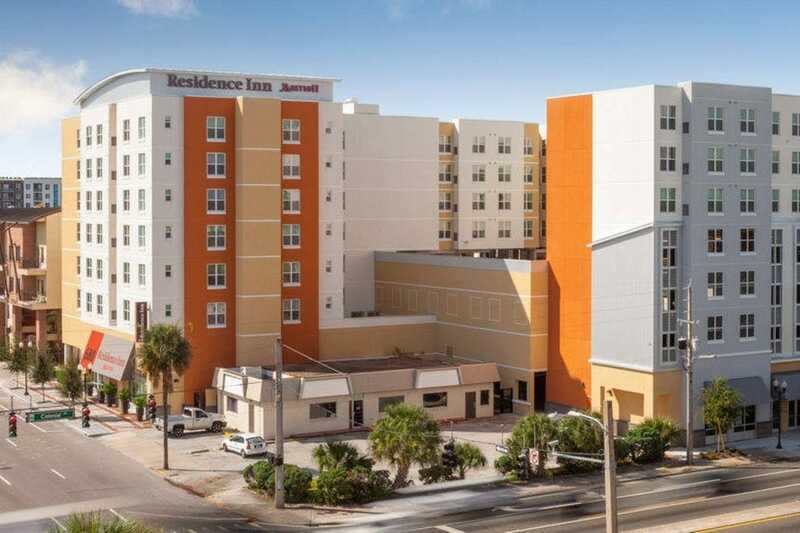 Less than two miles from the Amway Center, a host of cultural venues and convenient to all that downtown offers and still within easy reach of fun, local neighborhoods including Ivanhoe Village and Winter Park makes the Residence Inn Orlando Downtown a breezy option for events in the area, whether than means a Magic game at the arena or serious culture at the Dr. Phillips Center for the Performing Arts. Spacious studio, one-, and two-bedroom suites are available, along with fully equipped kitchens, free Wi-Fi and flat-screen TVs. 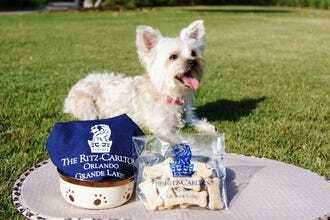 Bringing your furry friend? No problem, this property is pet friendly, as well. The DoubleTree by Hilton Orlando Downtown offers prime accommodations near lovely Lake Ivanhoe with exceptional downtown convenience. Guests will find themselves less than two miles not only from the Amway Center, but the Orlando Museum of Art, Orlando Science Center, Orlando Shakespeare Theater and the beautiful, new Dr. Phillips Center for the Performing Arts. 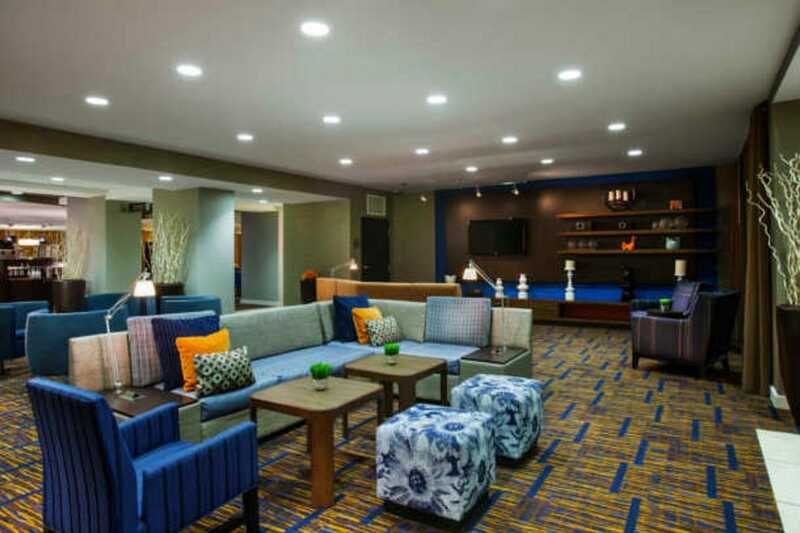 Hotel amenities here include a sparkling, heated, rooftop swimming pool and sun deck, fitness center and complimentary 24-hour business center. Morning convenience comes in the form of a lobby-ensconed Starbucks. Picturesque Lake Ivanhoe serves as the backdrop to the hotel's rooms and suites and those looking to search the area for fun to-dos will enjoy complimentary wifi on which to peruse. 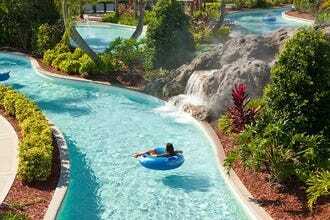 Looking for an altogether different Orlando experience than the one offered in the traditional resort area? 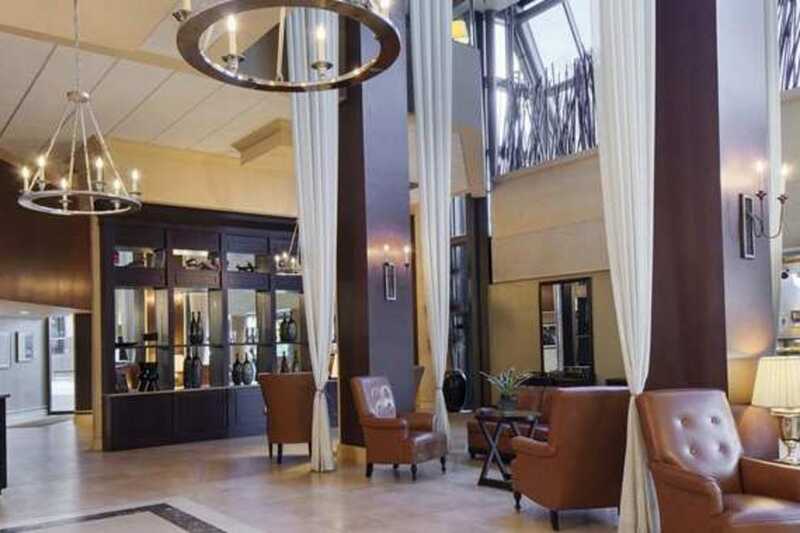 Check out the EO Inn & Spa, a boutique experience on the shores of lovely Lake Eola and an ideal home base for exploration of beautiful Thornton Park and the excitement of downtown. 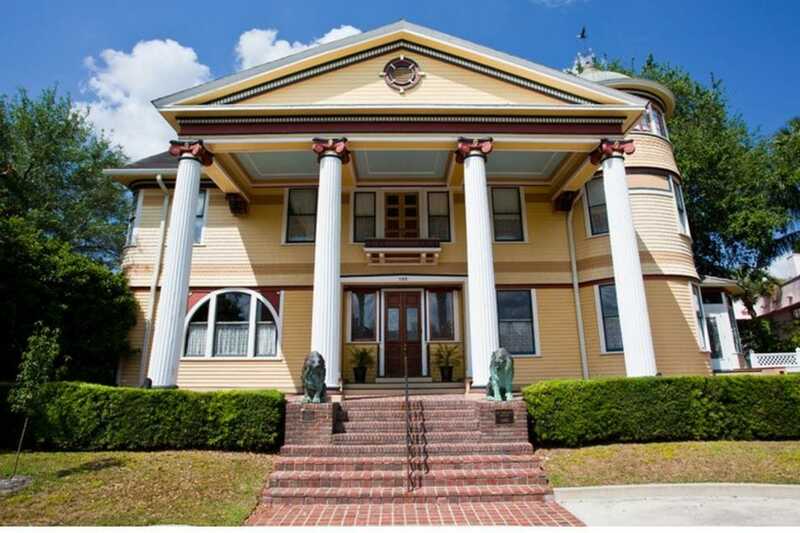 Known as the "Crown Jewel of Thornton Park," the EO Inn & Spa is ideal for couples looking for romance ––" even locals on a one-night "staycation". Much of the city's energetic nightlife is well within walking distance and the on-site spa serves up relaxation in the form of couple's massages, mani-pedis and all manner of upscale services. 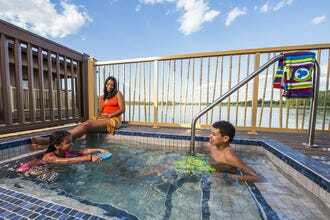 Take in the balcony views, relax on the hotel's deck and enjoy a soak in its outdoor Jacuzzi before getting ready for a night at the Amway Center, Bob Carr Performing Arts Center or one of the area's trendy restaurants. 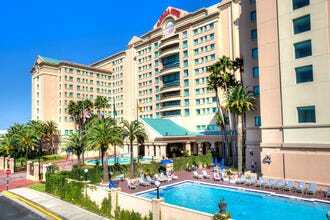 Within walking distance of downtown Orlando's restaurants and nightlife, the Embassy Suites Orlando Downtown serves as an excellent platform for business travelers or those hitting up the Amway Center or some other venue for a one-night event; it's a popular venue for locals enjoying weekend stays. Suites allow guests more space than is typical at most hotels, breakfast is complimentary and cooked-to-order, and proximity to Lake Eola Park means you've got a lovely place to enjoy a morning stroll or jog. Light appetizers and drinks are served during the Embassy Suites' Complimentary Evening Reception ––" a budget-friendly precursor to a night on the town. Well-located for Florida Hospital-related visits (it's the closest hotel available) ––" and near to the spoils of College Park, Ivanhoe Village and downtown Orlando, which is just one mile away ––" the Comfort Suites Downtown offers spacious accommodations, free deluxe continental breakfast, free high-speed wireless internet access and a free, 24-hour business center. 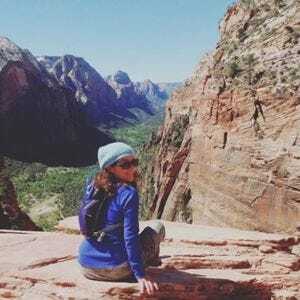 This property is an excellent choice for visitors interested in downtown exploration but also interested in visiting some of the city's arty local neighborhoods, each rife with charming small businesses and restaurants. Of course if you're planning on an event at Amway, it's still less than three miles away. Marriott quality and convenience are the norm at this well-located downtown property where complimentary Starbucks coffee in the lobby gives business and pleasure travelers a fueled-up send-off as they head out to explore. 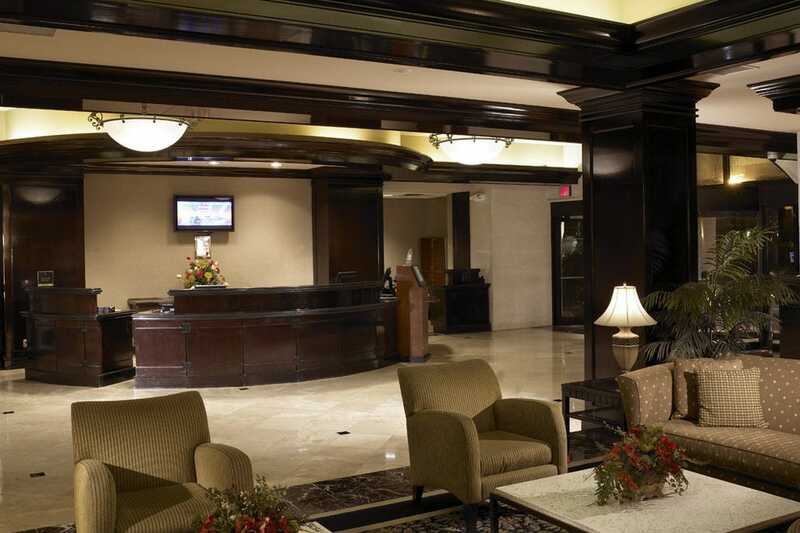 The lobby and all guest rooms enjoy wireless access, making it easier than ever to plan your activities while in town. The Bob Carr Performing Arts Center, Orange County Regional History Center and Amway Center are minutes away, as are the spoils of Orlando's downtown ––" rife with bars, bistros and myriad entertainment options. 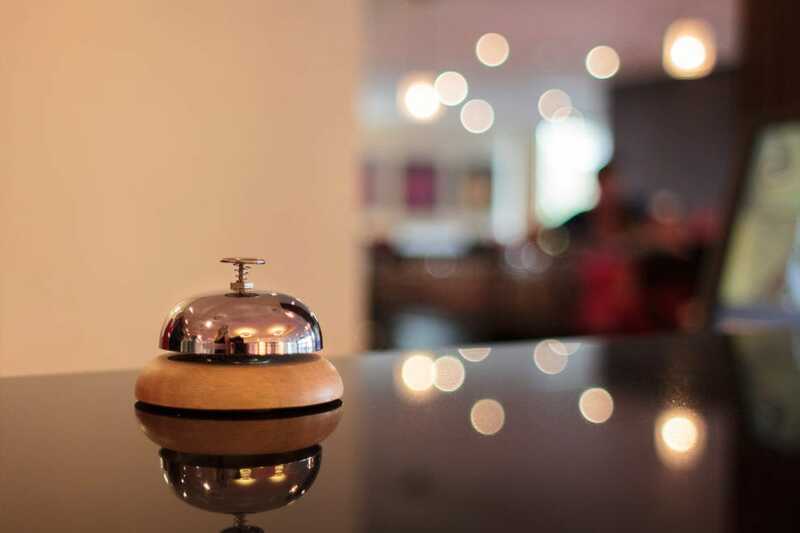 Business travelers will find the property's surrounds and staffers helpful to their stays, as well. 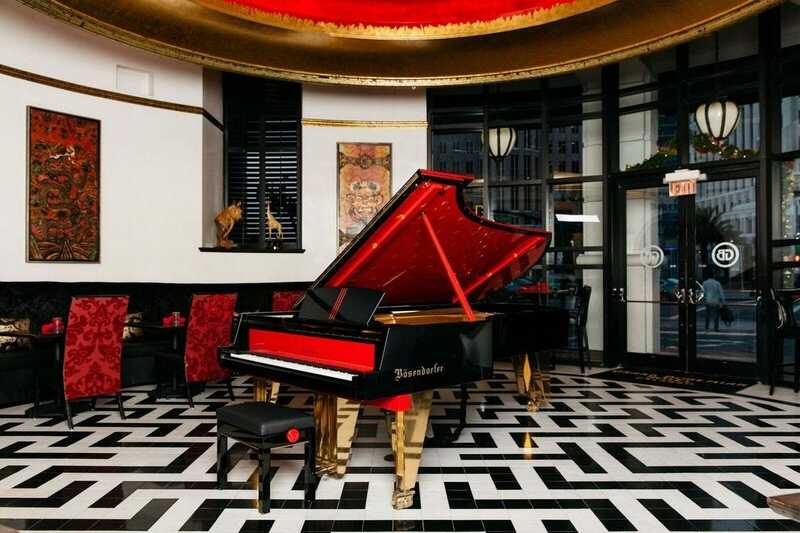 This undeniable Grand Dame of downtown Orlando properties, the Grand Bohemian is eclectic and elegant, seducing its guests with sophistication ––" not to mention fine art, music and martinis. Not merely steps from the Amway Center, the Grand Bo sits adjacent to the gorgeous, new Dr. Phillips Center for the Performing Arts and within easy walking distance from a vast array of restaurants, bars and nightclubs. Though with its own swanky piano bar downstairs, you may find you're not all that eager to stray. A lovely rooftop pool offers an urban oasis on high, an ideal place to grab some sun before your Amway event. This new-in-2013 property is steps from the Amway Center and the city's vibrant dining and nightlife options, making it a hip home base for downtown Orlando exploration. Its modern, clean design is attractive and open, its rooms sleek and comfortable with a contemporary feel. Spacious rooms are well appointed ––" and chic, in keeping with Aloft's Starwood and W branding and its vibrant on-site lounge means you may not even want to stray from the confines. 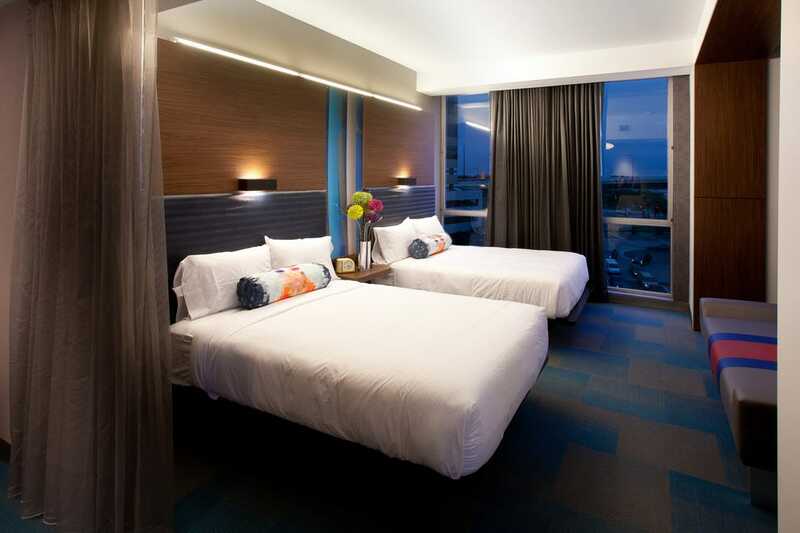 This Aloft is a nice choice for business travelers, local "staycationers," and Orlando visitors looking for an alternative to the theme-park resorts outside the downtown core.